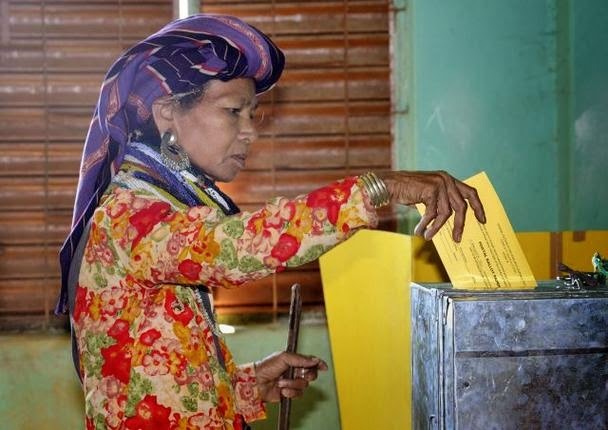 Aizawl, Mar 14 : Several social organisations and student bodies in Mizoram have opposed any move of the Election Commission to enable Bru refugees lodged in six relief camps of Tripura to exercise their franchise through postal ballots in the coming Lok Sabha polls. Six major social organisations and several student bodies have already decided to organise a 'Protest Day' on March 24 next on the issue, while the Mizo Students Union (MSU) has threatened to boycott the Lok Sabha elections. State election department officials said that there were 11,390 Bru voters in the relief camps belonging to nine assembly constituencies covering three districts. Lalbiakzuala, President of the Central Committee of the Young Mizo Association, said yesterday that they had repeatedly urged the Centre and the EC not to allow Bru voters to cast their votes outside the state, but to no avail. "The Brus migrated to Tripura on their own will and refused to return even after repeated appeals from the Centre, state government and the people of Mizoram," Lalbiakzuala said, adding that there was no reason why they should be repeatedly allowed to vote. Lalhmachhuana, President of the Mizo Zirlai Pawl (MZP), also said that the Brus who refused to return to Mizoram despite several pleas and repatriation plans should be deleted from the Mizoram voters' lists. Thousands of Brus migrated to Tripura following violence in 1997 and also in 2009. While many Bru families have returned to Mizoram, the majority of them remained in camps. Earlier, the EC allowed the Bru refugees to exercise their franchise on a directive of court in 1999.